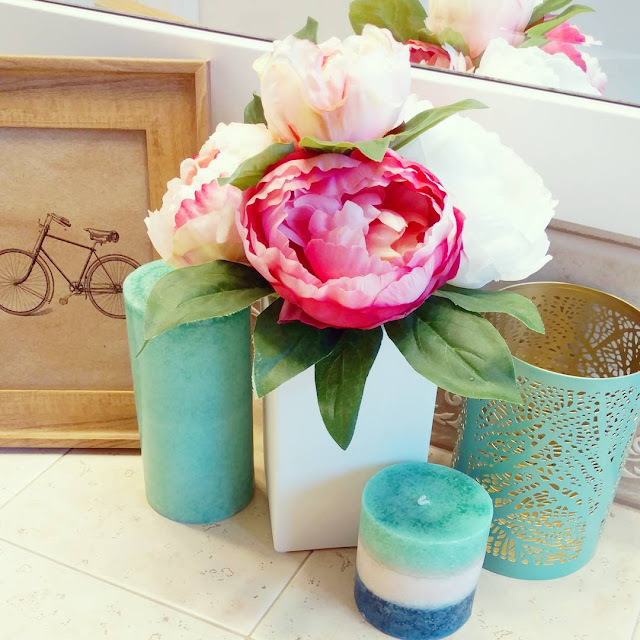 I’m totally guilty of being afraid to commit when it comes to decorating my house. I put it off because I’m afraid I won’t like it, or because we have plans to remodel that room . . . someday. Or then we do remodel and and I still don’t get around to actually decorating! 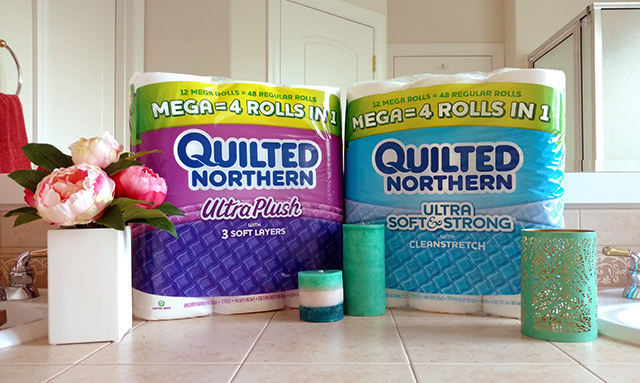 This week I changed that and headed to Target for a bathroom refresh that took less than 20 miutes and it’s made such a difference! 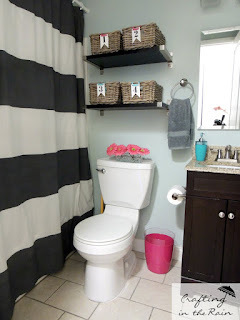 Here’s the before shots of my bathroom. Nothing terrible, but nothing great either, right? 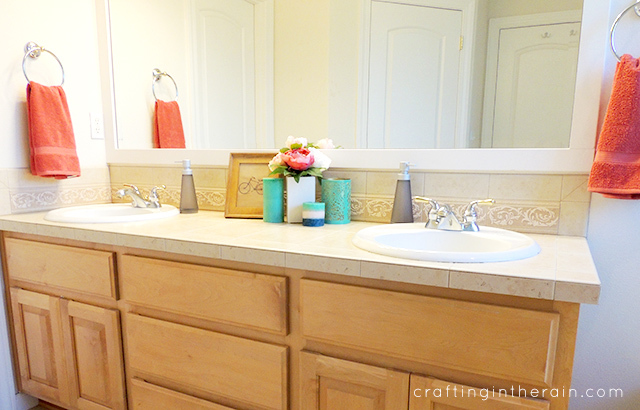 And sure, some day I’d love to get rid of the tile counter, and paint the vanity. But I know my life right now, and that is not happening in the near future. 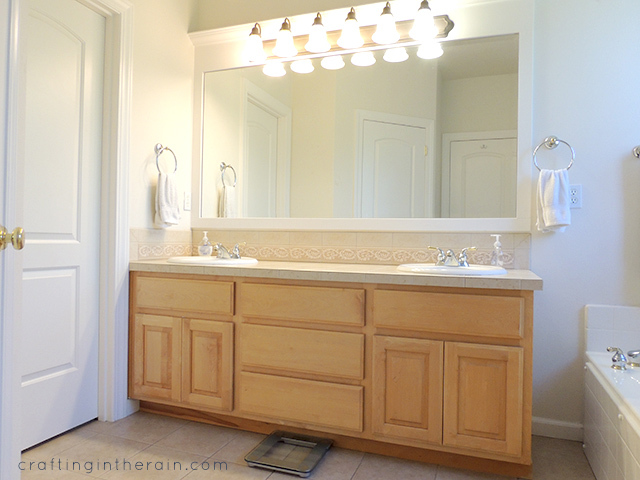 How can you do a bathroom refresh in your own house? You just need to know these 5 ways to add color to your bathroom. 1 – Picture or art piece Then use the art to pull out a couple of colors and buy everything else in those colors. 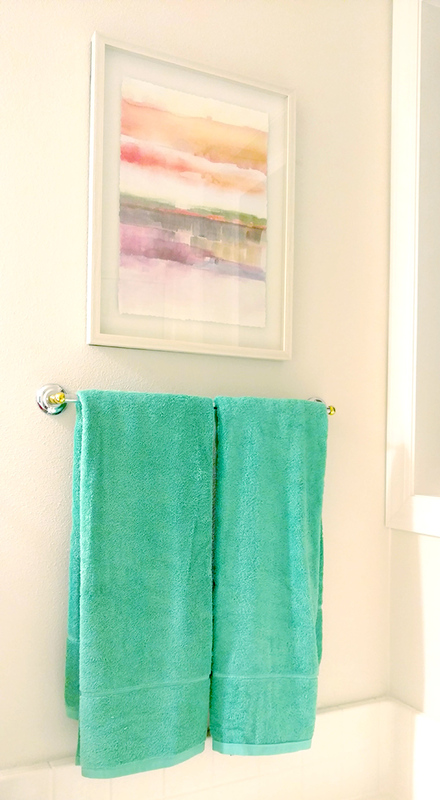 2 – Towels Hand towels and bath towels don’t have to match, which means two opportunities for color! 3 – Jars Use them to organize makeup, or just leave them empty. 4 – Candles There are tons of color and scent options, and you don’t even have to burn them if you don’t want. 5 – Flowers Fresh is always awesome, but usually not practical. You can find arrangements in the home decor aisles of Target. 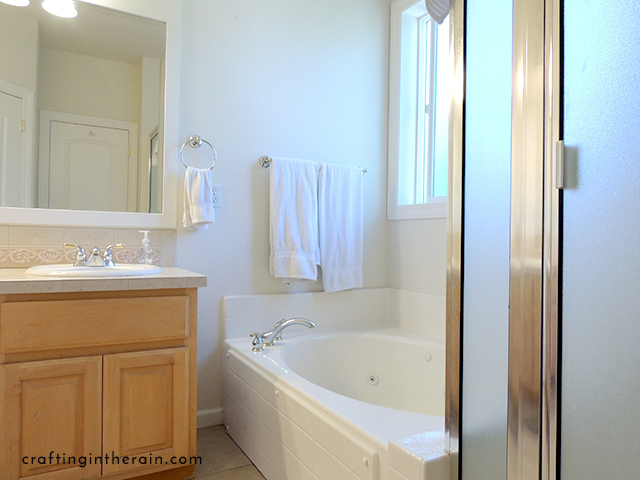 So what do you think of my refreshed bathroom? Have you been inspired to add more color to yours? 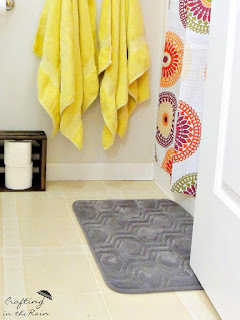 Want more bathroom makeover ideas? Check out these other posts.